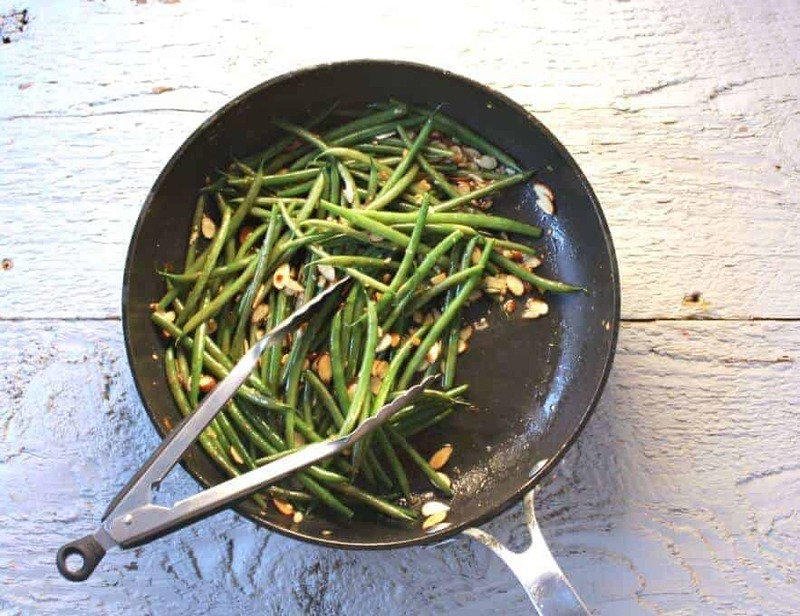 Fresh green beans sauteed with butter and almonds and finished with a squeeze of fresh lemon juice! 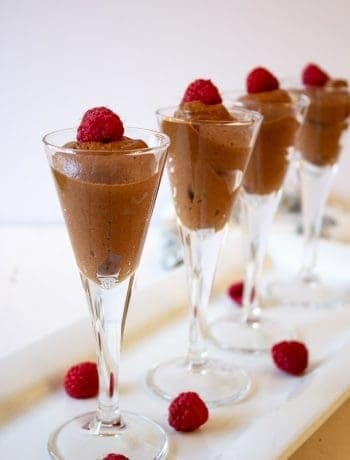 This recipe was originally posted in December of 2015. The pictures have been updated and a video has been added. 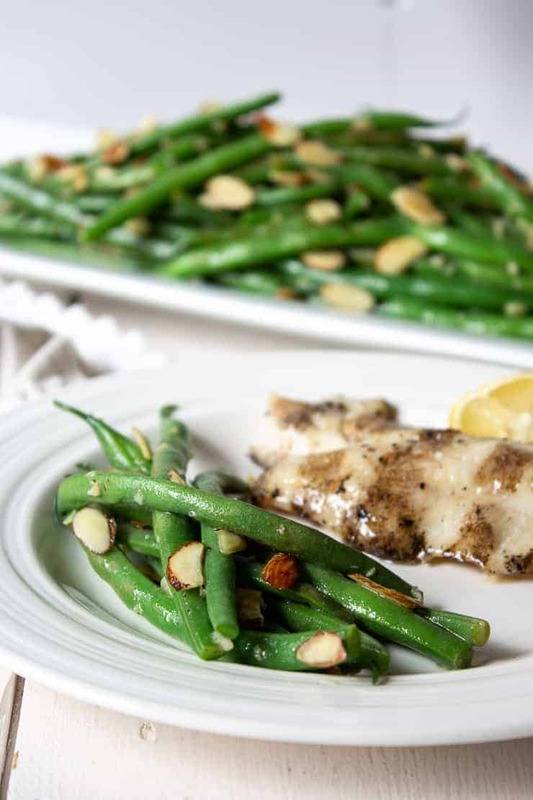 Fresh green bean almondine is perfect for an elegant dinner or a casual get together. During the winter months I start to crave fresh veggies. These green beans are easy to make and you will impress your guests and your family. What’s not to love? Butter…garlic….almonds….fresh squeezed lemon juice….oh and green beans! Almondine simply means with almonds. The word amandine also describes dishes cooked with almonds. Why the difference? Almondine is typically used in the US while amandine is European. The restaurant I used to work at always said amandine when describing a dish. Our chef was from Austria…plus I think it sounds a bit fancier! 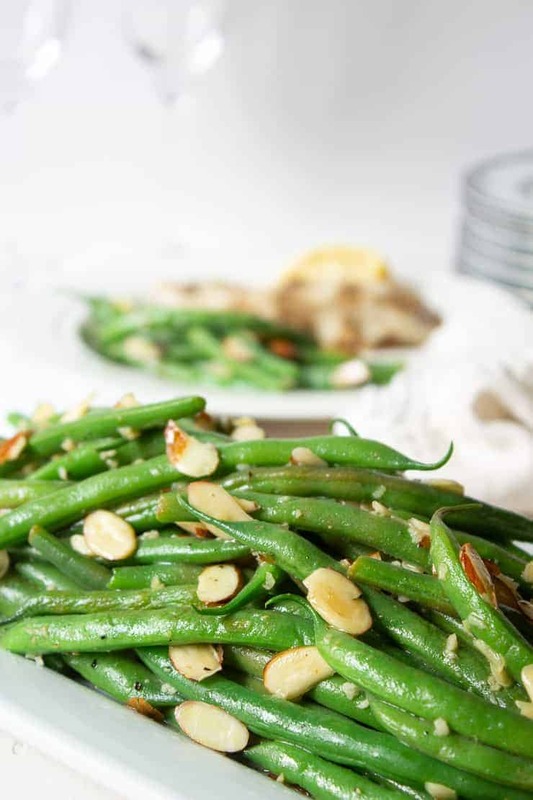 Almondine or amandine or just green beans with almonds, it’s delicious! Fresh green beans are usually available year round in the produce section of most grocery stores. Make certain you select the very best beans. No, you don’t have to use butter. You can use equal amounts of olive oil or margarine if you prefer. If you are looking for other great vegetable dishes, try these sauteed sugar snap peas and these ginger carrots. Fresh green beans sauteed in a light butter and lemon sauce. Cook beans for 2 minutes in boiling water. Water should be at a rolling boil before you add beans. Drain beans in a colander and then cool in a bowl of cold water. Once cooled drain beans again. Remove all excess water from beans. In a large saute pan, melt butter. Once melted add almonds. Cook over low heat until slightly browned. 3-4 minutes. Remove almonds. In same pan add garlic and beans. Continue cooking until beans are heated through. Turn off heat, squeeze 1/2 lemon over top. To make ahead of time, blanch and drain beans. Refrigerate beans until ready to continue. Green Bean Almondine Recipe Adapted From Fine Cooking. Made this for our Christmas dinner of fresh deer loin and baked potatoes. SO delicious! Definitely a keeper! Thank you for sharing. Awesome and easy side dish. Made it for Christmas dinner along with Beef Wellington. 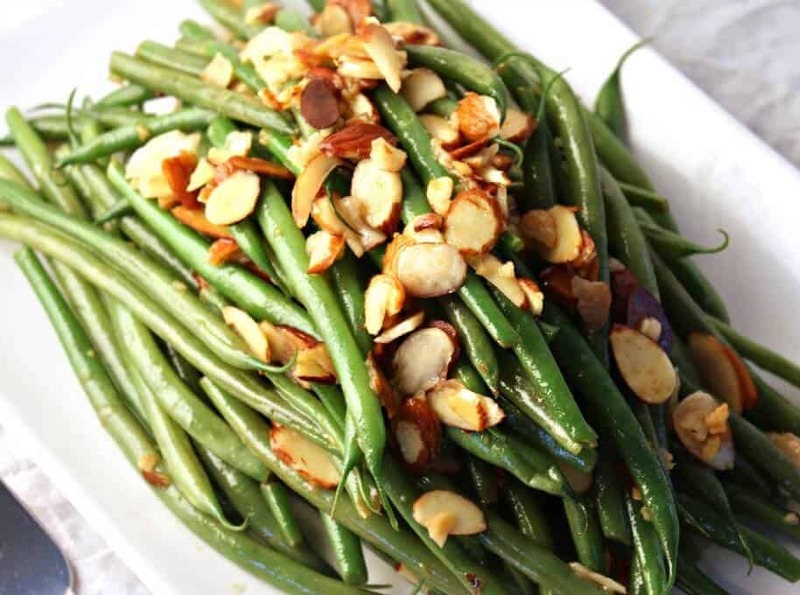 I love green beans, but I have never added almonds, I am sure this dish tastes even better this way. I see that you are gearing up for the upcoming holiday period. Whether it’s called ‘almondine’ or ‘amandine’- it all sounds good to me! A great, easy dish for the upcoming holidays Kathy! I’m pinning this one and making for sure! Green beans are one of my fave side dishes. And, really, how can you go wrong when you serve ’em with butter, lemon and almonds? I could eat a whole lot of these for sure!! Suddenly my ‘side’ becomes a meal, lol. 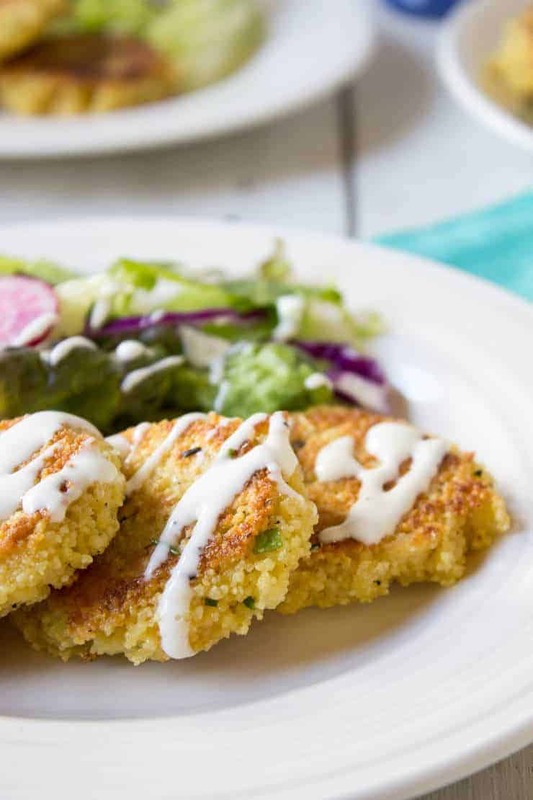 Reading through this post totally got me excited about Thanksgiving side dishes! 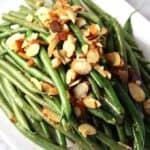 I’m all about the side dishes, and this green bean almondine sounds like it would be the perfect addition to the menu this year. My mom used to make a similar dish back when I was a kid, but I haven’t had it in years! Thanks for sharing, Kathy! Can olive oil or margarine be used instead of butter? I made this tonight to go with the Pork and Sauerkraut to ring in the new year, and it was delicious! I blanched the green beans ahead of time and just threw them in the pan with the almonds and butter when the time came. They were a big hit! Thanks for the recipe. Definitely a keeper! Thanks, Phyllis! I’m glad you love it as much as I do! This looks so easy! And delicious! And like something l’d make for dinner! Green beans have such great flavor. Love recipes like this that let all that flavor come through! Thanks, Christine! They really are great! A fresh & healthy side dish! Beats plain old green beans any day. Thanks, Erin! 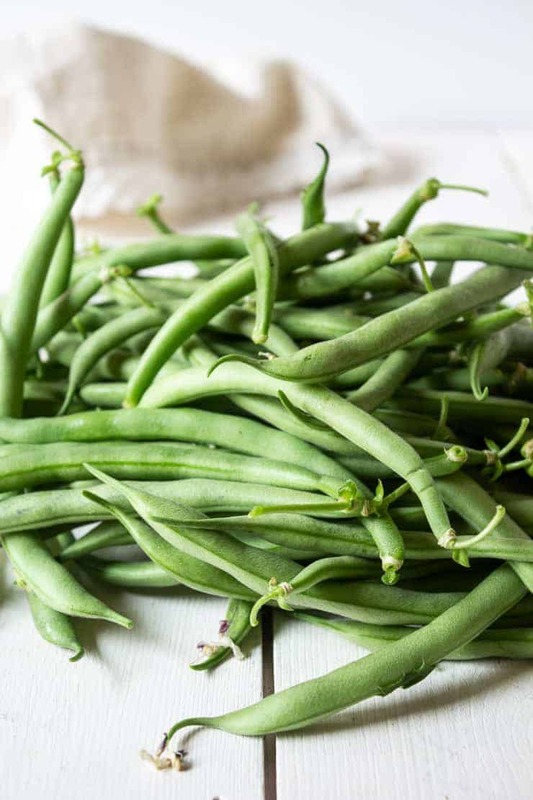 These green beans are a great side dish! They definitely beat plain old green beans! Simple and nice :)! Perfect dish for a vegetarian. Thanks Kathy! Thanks, Manali! Happy New Year to you too! I didn’t know you worked at a restaurant Kathy…how nifty is that!?!? Anyhow, these green beans look fabulous. 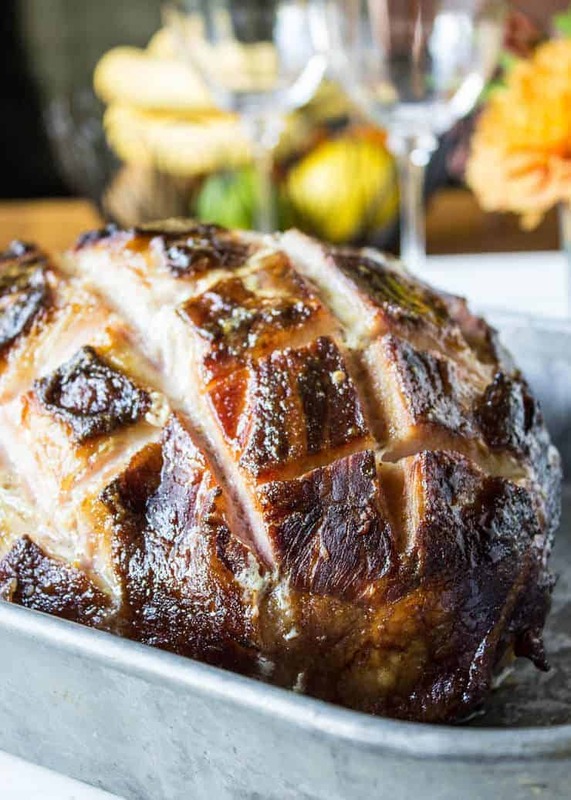 I will be giving them a whirl tonight, doing the easy thing and making a ham. Then we’re going to that Snoopy movie finally. I will definitely be trying the lemon bit, that’s new for me. As for the butter…haha…there’s no subbing for me =) Have a fabulous New Year with your family!!! 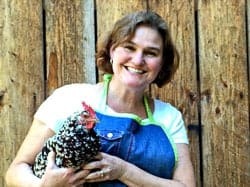 My restaurant experience is from way back when….back in the college days. I learned lots from working there and still use some ideas I learned. Happy New Year! I hope you give it a try! Happy New Years! These look scrumptious, and just right for the Whole 30 I am about to start in January – I’ll just sub some ghee for the butter. Thanks for the recipe! Perfect! I love that you can make simple changes and still enjoy delicious food!